We are interested about Reiki which influences and protects night sleeping and overall neurons and neural pathways in human body. It is known that if person falls asleep has little chance to control what will happen during sleeping. You often do a lot of meditation during the day, you do lot of exercise, you learn some texts, you do healing therapies but during the night may happen that everything somewhere evaporate and disappear. Night state often works against wishes of the person and this state destroys of improperly adjust significant part of the work on yourself during the day. And this is really nothing pleasant. To work hard on something and in the morning find out that it somewhere evaporates. Even worse situation is when for example you fight against aging. Here the situation after night is even worse and night mode could destroy your effort many times and even accelerate aging. Esoteric person wants to take over some of those clairvoyance techniques and issue appears when he wants to receive them permanently into neurons as extraordinary characteristic. Simply animal consciousness decided last night that you don´t need something like that. Therefore control of the night and night mode is needed to improve results. 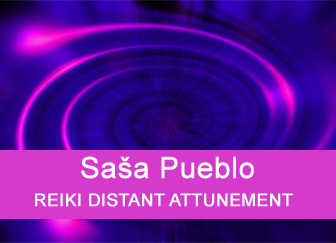 Sasa Pueblo has dedicated many years to night meditations. Firstly, he studies professional literature and discusses this topic with leading psychologists and creates a system of clairvoyance techniques for sleeping stages and their failure. He teaches the art of hypnosis and media. He becomes a hypnotic or rather autohypnotic personality. Gradually, over a long period he changes his traditional sleeping to the state of rest and artificial sleeping. Sasa Pueblo falling asleep not normal way but using hypnotic techniques. He leaves several hypnotists to remotely influence him. He gradually changes day and night consciousness and returns to animal sleeping which means that night and day consciousness are together partially open during day and night too. The reason for such procedure is to have access to dreams during the day and night. Sasa Pueblo reconstructs his night mode and so he achieves problems solving during the night and in the morning come out from head to the realization in everyday life. Sasa Pueblo gradually learns not to reject any drowsiness during the day and always affords it even if he walks and talks with someone. If he talks with someone and topic is not difficult to new solutions then Sasa Pueblo is in a state of continuous sleepwalking during the day. He leaves somnambulist people to influence him. He also builds astral projection from bone energies for night sleeping. He is able to switch parietal brain after he wakes up. This should be easy to train. Sasa Pueblo is throughout the day in the somnambulistic state and he talks with people like from the cassette and his body is governed by night astral projection. 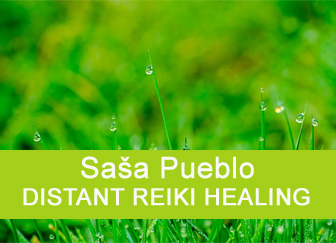 Sasa Pueblo tries to have 10-20 time higher levels of melatonin, serotonin, tryptophan and oxitriptan during the night. For this he needs nighttime chemistry and rare elements and night vitamin B. State approaching almost like poisoning by melatonin. He produces all this by pressure on fat cells. He is inspired by Caucasian highlanders. 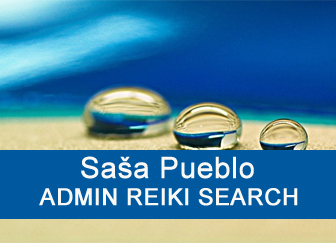 Sasa Pueblo has during the day at least three times higher melatonin levels and must learn to function well during the day with such levels. Such high doses during the rest or sleeping brings him into something similar as hibernation. Unique chemistry runs within cells in this state. And this is also one of secrets of Caucasian highlanders who live well for 140 years. 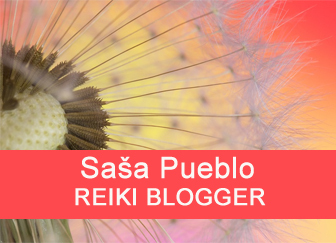 Sasa Pueblo knows to sugerate in the mouth and the brain special chemistry which produces chemicals necessary to achieve hypnosis. If he awakes during the night then he uses quick autohypnosis techniques to fall asleep again. All such techniques allow him to receive amounts of information and knowledge. Night control status allows him to streamline his transformation and building of extraordinary abilities. To acquire the knowledge, skills and special knowledge needs less time than other esoteric persons. We should say that Sasa Pueblo has left classical sleeping and acts always as individual with somnambulism and hypnotized individual. And actually he completely changed the importance and need of sleep. If someone has to interest to live up to 120-140 years such path is necessary. 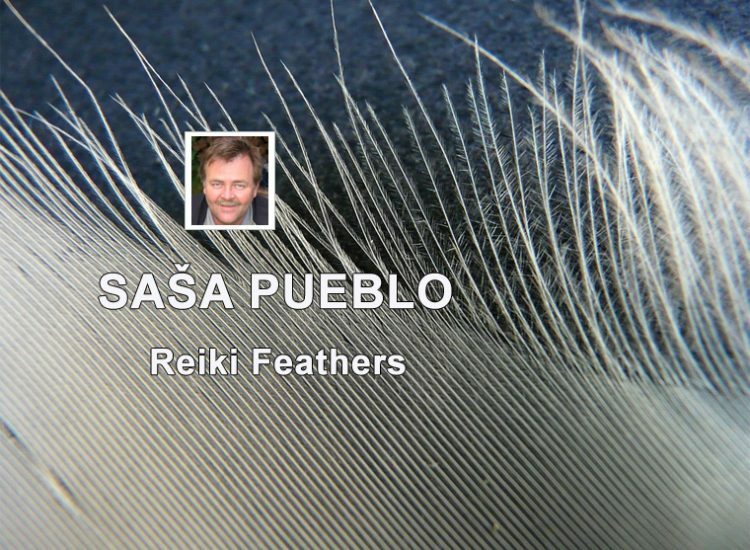 Sasa Pueblo likes to do Reiki in deep night and he left retreated yourself by German Reiki masters who practice Reiki just for regeneration and renewal. Try to test this remotely. Sasa Pueblo has built astral being from bones for night and this creature knows how perfectly use chemical factory in bones for chemistry stabilization in general. 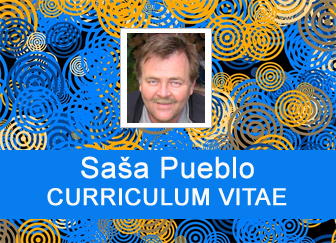 Sasa Pueblo likes to connect to dreams of long living people. He knows how to control dream memory in the midbrain, in this area is pituitary and pineal gland. Of course, all this would be perhaps enough for someone else who would not seek other options. But this is not custom for Sasa Puebla who diligently searched and traced the tradition of North American Indian dream catcher. This can be considered as top level of night conditions. It takes many years to get to such spiritual level. Proceed carefully and sensibly. If you manage to become autohypnotic personality, it´s time to start to build astral projection and astral dream being into dreams directly to middle brain in the middle of the head which is in the size of smaller nut. In this part of brain are hormonal glands pineal and pituitary and here is dream archive for night mode. Astral being is built overall from bones neurons and nerves. They are directly in bone cells. Astral being is well built by persons who have high doses of sleeping substances as melatonin, serotonin, tryptophan. Such persons often suffer by clogging of neurons by sleeping substances. Meditation on bones, bone cells and bone neurons causes the creation of astral being. Such being has to support the health, intellect and things beyond the life. You mentally connect at the distance to persons who have already built astral being for dailly routine. You connet to such persons in shamanic consciousness where you do not distinguish between you and tree or astral being of living person. Once you have built astral being of particular strength from bones, it´s time to create astral being to sleeping mode as the guardian of your dreams. And so you create energetic imagination of the hand from energies of astral beings for daily activities and you insert such imagination to middle brain. Possibly you connect to the distance in the natural consciousness on the person who have night astral guardian for own dreams. And do not be surprised how your astral guardian for your dreams and night mode looks like. This will be something like spider, some kind of prehistoric arthropod from cambrian period before 500 milions years. In middle brain and not only there remains from embryonic development tiny cell structures which could be activated and then they could act in special way. You may have the feeling that astral structure in spider shape weaves many networks inside of yourself. Of course this is only figuratively speaking because this structure gradually expands and activates all nerves, neurons and nerves endings. Tradition of North American Indians is necessary at the beginning of development of such astral projection in your nervous system. You listen as much as possible and even hours authentic Indians music. You watch videos and Indian dancers for hours and for days. You dedicate your time to Native American dreamcatchers and overall culture of Indians. You become a lover of spiders and all shamanic masks. In shamanic consciousness, you will often contact people who are dedicated to the collection and learning about spiders and especially spiders in Africa. At the same time you remotely connect to power of feathers and spider webs. And a book of Abdrushin tells you a lot. Birds feathers in spider webs is strong tool to open astral guardian into dreams and to nervous system. You should become obssesed with all around spiders. Also child fetus in certain period of time has open such structures and then they become closed. You get to all 200 prehistoric structures which describes evolutionary medicine through astral spider. We shouldn´t forget that our animal ancestors were someting like spiders, they where the combination of chimpanzees and spiders. Learn to mentally connect to caves full of spiders and spider webs. The dream is the experience of pictorial, audio and other sensory perceptions generated by the brain during sleep. Events in dreams are often impractical and dreamer usually has no control of them. Sleeping is regular state of rest which is characterised by a slowdown in the rhythm of breathing, heart rate, ensures the regeneration of the body and its deficiency can cause a number of health complications. Paradox sleeping (different names REM, sleeping REM, quick eye movements, active sleeping, not synchronized sleeping, REM is English shorcut for rapid eye movement) indicates shallow stage of sleep in when dreaming occurs. You will find methods and techniques of lucid dreaming, which can induce this type of dreams, but also other information that is associated with the phenomenon of lucid dreaming.